North America's largest wolf shows off the fine art of howling. 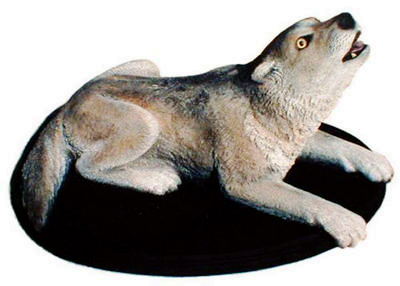 Wolf puppies and an Arctic wolf sculpture editions are also available. The gray timber wolf is a must have for all dog lovers.